Grade One stakes winner with $1.3 million in earnings; son of sire-of-sire’s Speightstown. 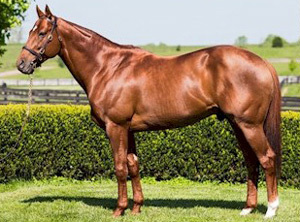 The Best Son of Champion and Leading Sire SPEIGHTSTOWN outside of KY.
Haynesfield Daughter ‘Profound Moment’ Dominates $50,000 Washington State Legislators S.
Sire of three 2016 stakes winners including juvenile GIFTED JUSTICE, winner of the $100,000 Hillsdale S. and sophomore HE’LL PAY winner of the $100,000 Rushaway S.
C U AT EAU CLAIRE, 6 wins, 2 to 4, 2017, $192,117, Hard Rock Casino Vancouver H, Chariot Chaser H, Sadie Diamond Futurity, British Columbia Cup Debutante S, 2nd Fantasy S, Supernaturel H, 3rd Hong Kong Jockey Club H.
HE’LL PAY, 2 wins at 3, placed at 4, 2017, $183,389, Rushaway S, 2nd Kent S G3, 3rd Commonwealth Derby G2. GIFTED JUSTICE, 3 wins, 2 to 3, 2017, $120,616, Hillsdale S.
SHE’S SO FINE, 6 wins, 3 to 4, 2017, $271,737, Karakorum Elektra S.
PROFOUND MOMENT, 4 wins, 3 to 4, 2017, $115,828, Washington State Legislators S.
Realm, 2 wins, 2 to 3, placed at 4, 2017, $227,255, 2nd Fred W. Hooper S. Gr.3, 3rd Cigar Mile Handicap Gr. 1, Hal’s Hope Gr. 3. Bistraya, 2 wins, 3 to 4, 2017 $121,926, George Royal S.3rd John Longden 6000 H.
Core Portfolio, 4 wins 2 to 4, 2017, $162,008.